Facing a flood or fire damage crisis in Glendale, California? 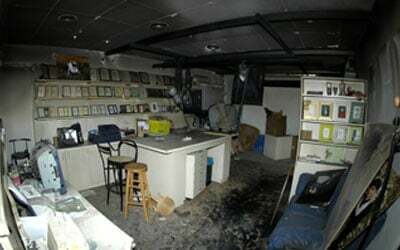 Our fast response teams are ready 24/7 with experts in fire damage restoration and smoke and odor removal. 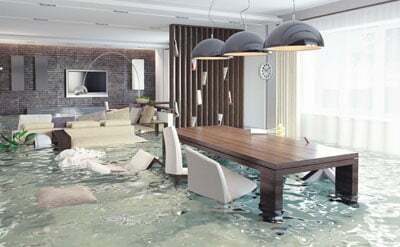 Plus flood services such as mold remediation, sewage extraction, and water damage restoration. They’ll have all the equipment and supplies they need to prevent further destruction and recover as many damaged items as possible. You as well as your insurance company demand true professionals — experienced, well trained, and diligent. A trusted company with a strong local presence. And of course your fire and flood damage restoration company must be licensed and insured, and follow all codes and regulations. In Glendale that’s Restoration Masters. A full-service fire and water damage contractor, we’re a single company that can take care of everything from initial inspection to final haul away. Our crews include skilled craftspeople and technicians certified in a wide range of cleaning and restoration specialties, including special residential and commercial damage restoration needs. And they’re backed by the latest cutting-edge equipment. Besides pumps for water removal they have extra-powerful water extraction gear for ceilings, walls, and floors. For total structural dry out they have high-capacity fans, moisture meters, and refrigerant dehumidifiers. For fast and thorough smoke and odor removal they have dry-ice blasters and ozone generators. Insurance can become its own problem. For home and business fires you’re almost certainly covered. But for storm flooding that could be a different, and complicated, matter. Natural disaster policies and riders are very specific about what they do and don’t cover. But a common theme is that preventable losses won’t be covered. That means immediate professional services to properly mitigate against secondary damage. With the experience of hundreds of claims, our staff will work directly with your insurance company so you should have a hassle-free claims process with no big surprises. We’ll make sure all required mitigation steps are taken, along with completing proper inspections and detailed documentation. The IICRC (www.iicrc.org, the world’s leading non-profit for the inspection, cleaning, and restoration industry) has water damage restoration guidelines based on the amount of water and its level of contamination. Failure to follow this guidance soon leads to mold and other health hazards, damaged drywall, warped and split wood, and more. There can be significant new damage in as little as 24 hours, and even with moderate amounts of water progressive deterioration can go on for weeks. For “Class 1” situations involving only a few square feet of soaked flooring, a wet-vac, lifting the carpet (to speed drying), and replacing the padding may be all the water damage restoration that’s necessary. But beyond that highly trained technicians with special equipment is necessary. Our water extraction gear pulls up to twice as much water out of walls and ceilings (not just flooring) to immediately reduce indoor air humidity, helping to protect belongings and speed building drying. Removing dampness that’s made its way deeply into the structure quickly enough requires industry-unique dehumidifiers and air movers. Plus frequent monitoring and adjustments by our experts. Whether it’s summer or rainy season, we’ll complete structural dry out of your Glendale home or business in just a few days. Other aspects of flood restoration have more to do with the likelihood that disease germs are present. Clean water (IICRC Category 1) is direct from drinking water plumbing, but after 24 hours degrades into Category 2. The second category also includes discharge from washing machines, dishwashers, showers, and so on. So beyond debris removal and general cleanup, expert cleaning is important for disinfection as well as appearance. It’s not surprising that a sewage backup is Category 3, grossly unsanitary. But did you know that any water which has come in contact with soil is in the same category? Both are likely to be filled with disease-causing bacteria and viruses. So flood water removal and sewage extraction must include containment and isolation, and diligent cleaning and disinfection by our microbial remediation technicians. Sewage removal must even follow regulations regarding transportation and disposal. Handling more than the smallest of mold removal tasks is asking for trouble. Just killing it leaves you with toxins and allergens, not to mention spores that will spread throughout the building. And the bulk of the infestation can be completely hidden as it needs no light whatsoever to grow. 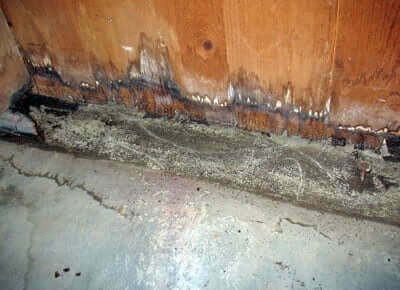 Mold actually prefers dark areas, and loves the mild Glendale climate. Our licensed experts follow all OSHA regulations and EPA guidelines, starting with isolating their working area and setting up air scrubbers and exhaust. They’ll thoroughly complete spore and mold removal, replacing porous building materials as necessary. Decontamination extends to the rest of the building (including air ducts, carpeting, and furniture), and we’ll neutralize any lingering musty odors. Our experienced and skilled crews are fully qualified to handle whatever building repairs you might need, quite literally floor to ceiling. Including roofing, cabinetry, plumbing, HVAC, and electrical. 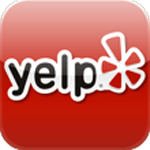 Our technicians are also experienced in cleaning and restoring rugs, carpets, and upholstered furniture as well as appliances, personal and business electronics, documents, and more. 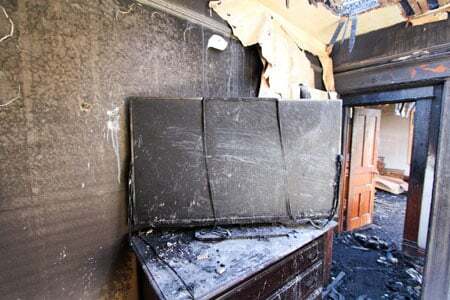 Besides dealing with the emotions brought on by loss, fire damage restoration requires far more than debris removal, repairs, and cleanup. We’ll take care of those, but only after securing building openings and completing any necessary structural reinforcements. We’ll also isolate undamaged areas so life (or work) can go on, and set up HEPA air filters that work towards keeping things clean and safe. And for anything more than the smallest blaze we’ll bring in our water restoration experts to deal with the aftermath of fire hoses and sprinklers. 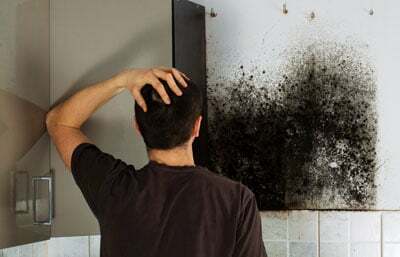 Smoke, ash, and soot can reach just about everywhere, even inside undamaged walls and other cavities. It takes training and experience just to know all the places to check! 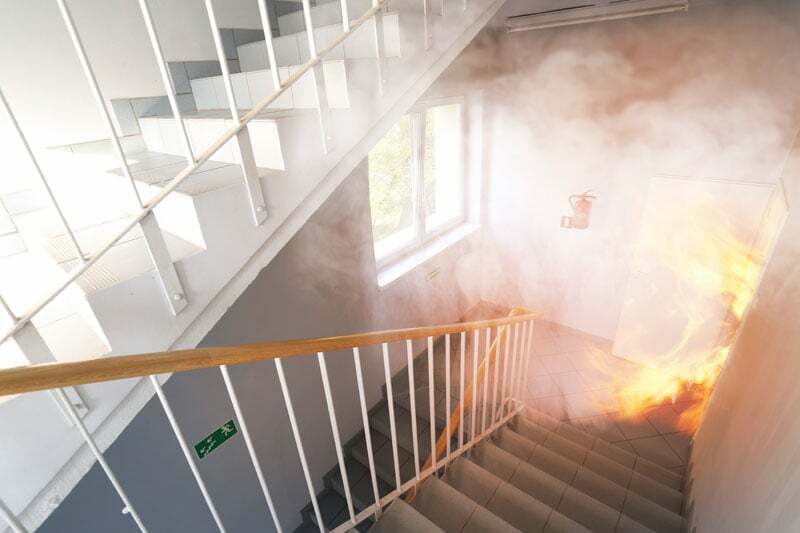 If not properly removed smoke can permanently discolor many materials in just a few hours. In just a few days it corrodes all uncoated metals and penetrates so deeply into porous materials that it can no longer be removed, leaving those lingering fire odors. Our dry-ice blasting equipment quickly removes smoke and char without damaging building surfaces, and our certified smoke removal technicians take care of the rest. Our ozone generators release an ecologically-friendly gas that penetrates porous surfaces, and even reaches into the building’s inner structure to completely neutralize odors. As with water damage repairs our crews are ready for anything — framing, flooring, new cabinets and counter tops, electrical, plumbing, window and door replacements, HVAC, and roofing. We’ll deal with Glendale emergency permits, and proper disposal of all debris and construction wastes. Depending on the situation we can treat furniture and other belongings on site, or provide pack out services for treatment in a controlled environment followed by secure storage. Although more rare, urban and suburban areas such as Glendale California aren’t immune to natural disasters besides earthquakes. As noted at http://www.usa.com/glendale-ca-natural-disasters-extremes.htm within 50 miles there have been 194 floods and 87 wildfires (plus 273 other “weather extremes) for the years 1950 through 2010. So once you’ve made it through your current catastrophe it’s worthwhile to be fully prepared for the next. You can start by checking out the city’s info at http://glendaleca.gov/government/departments/fire-department/emergency-preparedness-response.